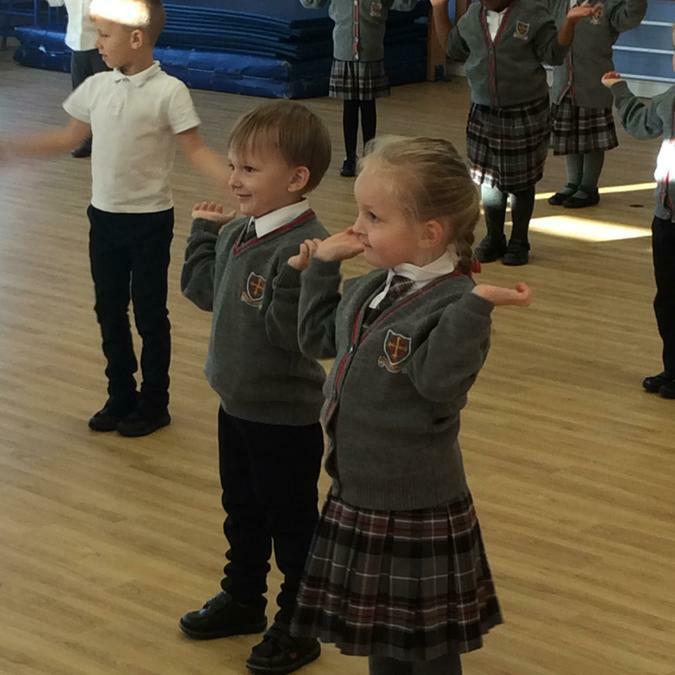 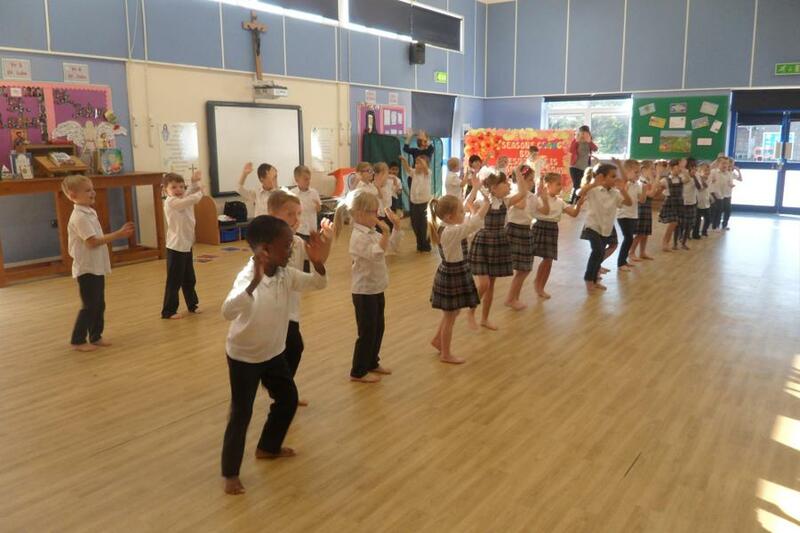 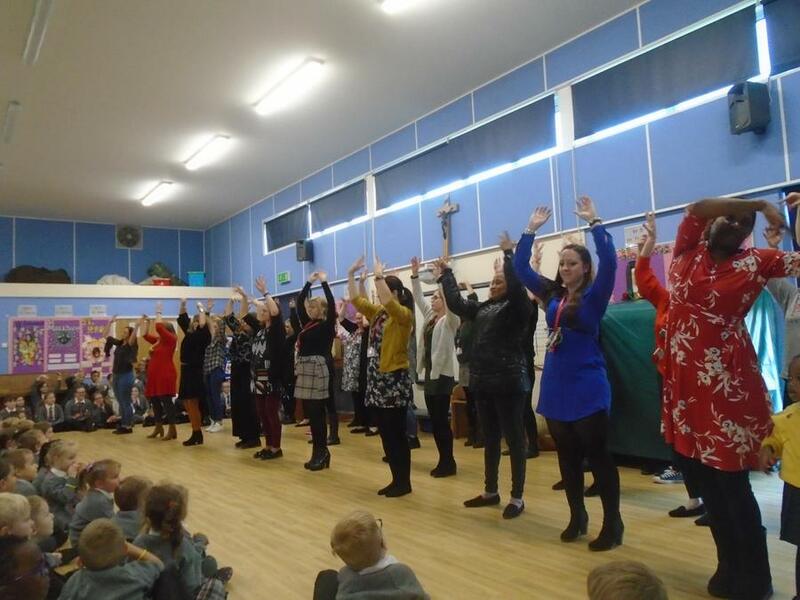 Children at St. Edward's Catholic Primary School rounded off their 'Diwali Week' learning with 'Bollywood' dancing lessons. 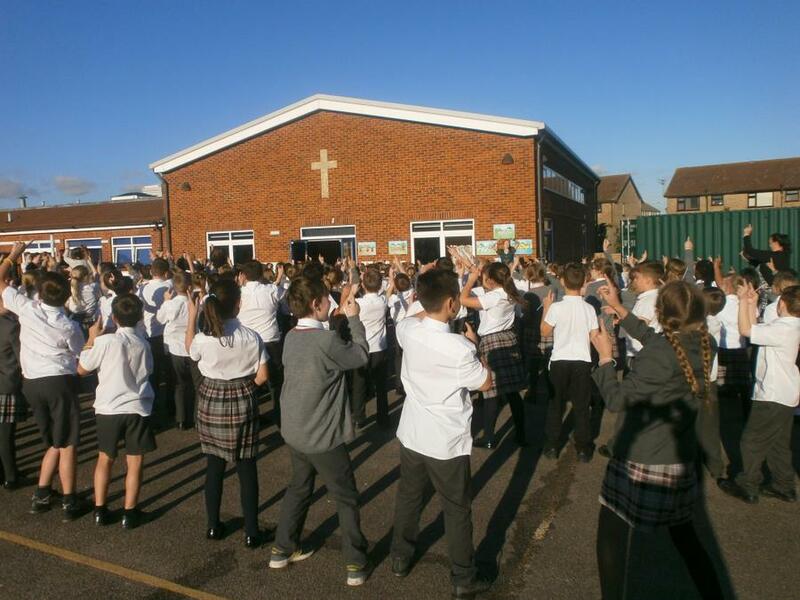 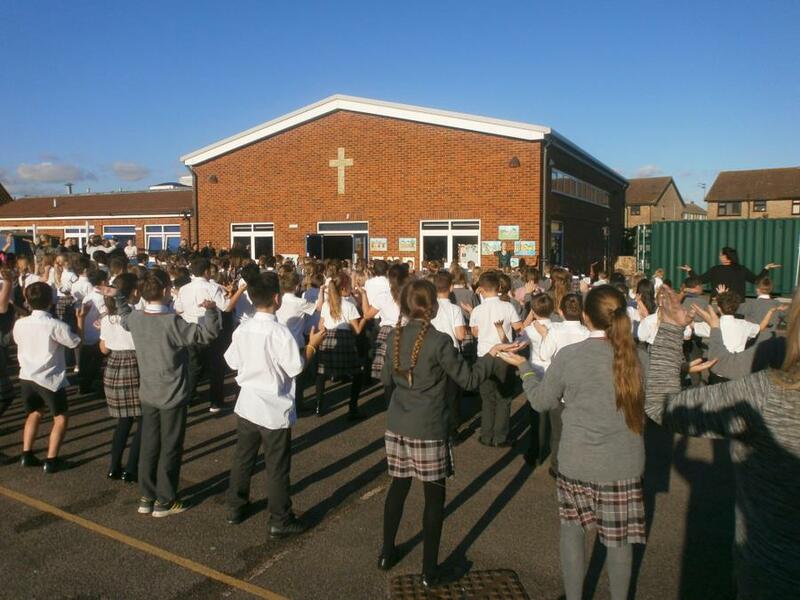 The day culminated in a surprise 'Flash Mob' on the playground. 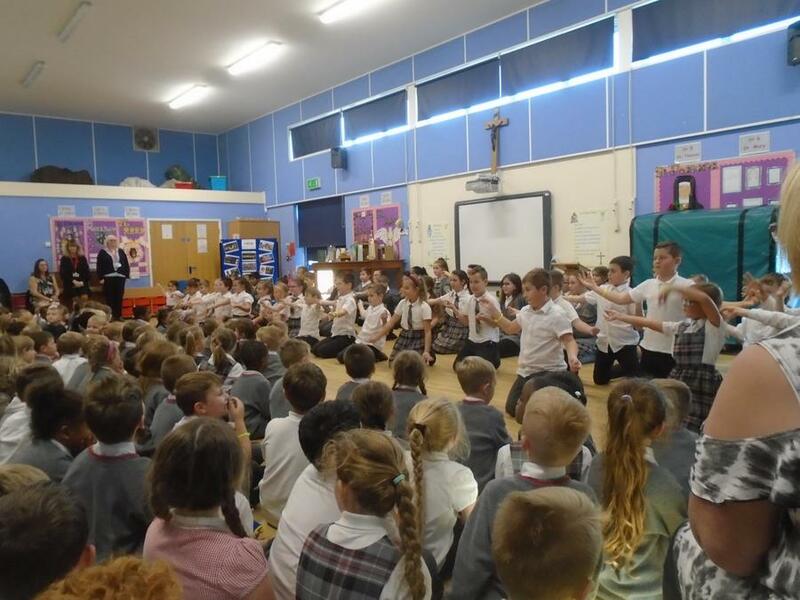 The children then put on a demonstration for their parents, who were also invited to take part. 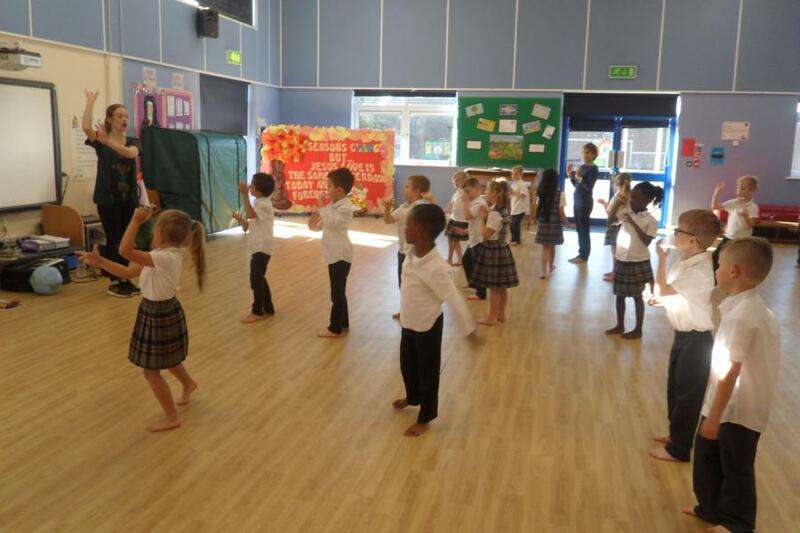 The photographs below show the children enjoying taking part in the workshop.